Originally published on 16 May 2017 at Hong Kong Free Press, here. On May 3, police in Yunnan abducted human rights lawyer Chen Jiangang. He was forced to drive with security over 3,000 kilometres back to Beijing. He remained in their custody for over 80 hours, coincidentally missing the trial of his client, Xie Yang, whose torture he had exposed in January. At his trial, Xie Yang “admitted” to having been brainwashed by foreign agents, and on Hunan state TV he repeated that he had sensationalised cases and denied that he had been tortured. Xie Yang had anticipated his forced confession. Emblematic is the case of my friend and former colleague lawyer Wang Quanzhang, whose exact fate and whereabouts have not been verified since police abducted him in August 2015. In January 2017, it was revealed that he has been tortured. Likely, Wang’s ongoing abuse is largely due to his refusal to perform a forced confession. Part of the “709 Crackdown,” several prominent human rights lawyers have been forced to deliver televised confessions, from Wang Yu to Zhang Kai, who later disappeared a second time after he publicly recanted his initial forced confession. A couple months earlier, in June 2016, Hong Kong bookseller Lam Wing Kee also revealed that he and his colleagues at Mighty Current publishing had been forced into confessing, including Gui Minhai who remains incommunicado. Originally published at Hong Kong Free Press on 27 January 2017. Here. 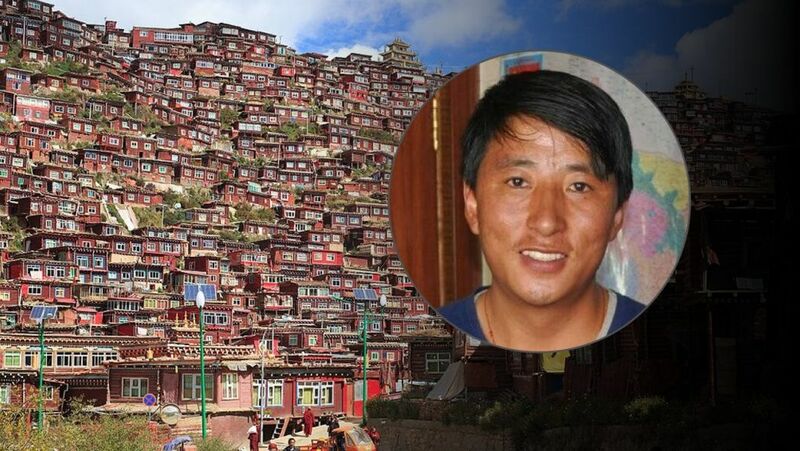 A year ago today, Tashi Wangchuk disappeared. He was recently indicted and is now awaiting trial, facing a 15-year sentence for the baseless charge of inciting separatism. His crime: advocating Tibetan language rights in an interview with the New York Times – hardly a threat to national security. On 27 January 2015, two cars filled with men not wearing uniforms or presenting identification arrived at Tashi’s home, claiming he needed to go with them to handle some business registration. Two hours later, he was in police custody at the Yushu Public Security Bureau, locked into a tiger chair where he was kept until the following evening, continuously interrogated. They threatened him and his family. They demanded if he was in touch with Tibetan separatists abroad. A few days later, in a different detention center, he was subjected to a week of constant interrogation, during which he was repeatedly beaten by two Tibetan police officers. His family wasn’t notified of his detention until 24 March, 57 days later, when they were told that he was being charged with inciting separatism. The charge arises from a distorted investigation into the New York Times video carried out in February by the Tibet research branch of the Ministry of Public Security, well before Tashi’s first meeting with his lawyers in June. According to the February investigation, in the video Tashi had intentionally acted to incite separatism, break Tibetan social stability, and discredit China internationally. Tashi has also been active on Weibo and his last post before being detained is illustrative of the type of vocabulary in the video that the government claims discredits China and incites separatism. As reported by the New York Times, on 24 January, Tashi reposted a comment urging Chinese legislators to enhance bilingual education and hire more bilingual civil servants – hardly the rhetoric of an insurrectionist. The charge against Tashi is absurd. Tashi does not advocate separatism. He only sought to promote Tibetan language education, guaranteed under Chinese and international law, and to use Chinese law to pressure officials to faithfully implement Tibetan language rights. International standards are quite clear. Advocating Tibetan language rights is not a crime. The International Covenant on Civil and Political Rights, which China has signed, holds that minorities shall not be denied the right, among others, to use their own language. The Declaration on the Rights of Persons Belonging to National or Ethnic, Religious and Linguistic Minorities, which provides further guidance on international standards, also calls on states to take positive measures to create favorable conditions for minorities to develop their language. In 2013, UN Special Rapporteur on minority issues Rita Izsák voiced concern that defending minority language rights has been associated with separatist movements by some countries where the unity of the state is largely influenced by the political narrative of a “single national language as a means of reinforcing sovereignty, national unity and territorial integrity.” In such countries, assimilationist narratives often extend to every aspect of minority culture, from language to religion, subsuming it under the oppressive myth of national unity through the forced adoption of majority culture. Minority language, as with folklore or custom, are downplayed to the level of tourist attraction for majority amusement. This is widespread in China. Rather than treating efforts to reclaim rights for minority language and culture as acts of separation, Izsák explains, protecting the language rights of minorities is not only a human rights obligation but also essential to good governance, conflict prevention, and social stability. That Chinese law supposedly guarantees minority language rights only makes the charges against Tashi all the more ludicrous. The constitution provides that all nationalities have the freedom to use and develop their own written and spoken language. This is also protected in the Regional Ethnic Autonomy Law, which goes on to note educational organizations with mostly ethnic minority students should strive to rely on textbooks and instruction in their own language. The national plan on education reform places similar emphasis on linguistic minority rights. It states that no effort shall be spared to advance bilingual teaching and that minority rights to education in their native language shall be ensured. Despite such protections, China has incrementally repressed Tibetan language rights with the same increasing ferocity with which it has assaulted virtually every other aspects of Tibetan culture. Tashi told the New York Times that his passion for language rights campaigning, in part, began with his desire to find a place for his two nieces to study Tibetan after local officials closed a small school where monks had offered Tibetan language classes. Public schools throughout Tibet have largely abandoned bilingual education, approaching Tibetan the same way it would a foreign language, says the International Campaign for Tibet. Regulations in 2010, that severely limited the use of Tibetan language in schools sparked major protests in Qinghai and lead to an urgent appeal before the Human Rights Council. In 2015, regulations on bilingual education instructed officials to “unswervingly implement the national common language [Mandarin]…to ensure that minority students master and use the basic national common language.” Such policies give rise to the accusations that advocacy for minority language is a separatist attack on politically crafted national unity. This is wrong. Now, more than a month later, with the stakes for Tashi highly increased, the answer to Ambassador Baucus remains the same, because in China the law only matters as far as it suits the interests of the state. Indicting Tashi for insisting on nothing more than for the government to uphold its own laws on language rights is as much an indictment against China’s claims to be a laws-based society. Tashi should be released immediately. Instead, the state now seems likely to condemn him to prison to cover its own falsehoods. This article was originally published 26 August 2015 at The Diplomat. Available here. This article was originally published at OpenDemocracy on 3 August 2015. Available here. The Letpadaung copper mine in the Sagaing Region of central Myanmar has become a major fault line in the struggle for human rights in that country. It is also emblematic of a global problem: the damage caused by exploitative resource extraction coupled with impunity for state violence. Although the complex which houses the mine is some 20 years old, it has attracted increasing resistance since Myanmar began its ostensible transition away from strict military rule in 2011. Fed up with massive forced relocation and environmental degradation, residents have taken advantage of gradual political liberalization to begin staging demonstrations at the mine. But state brutality promptly tramples these actions, including at least one police assault on civil resisters — civilians — using military weapons. Abusive state officials have escaped prosecution while activists have been sentenced for exercising their fundamental rights. Contention around the project — and especially police treatment of those engaging in nonviolent civil resistance to put an end to it — has grown into a real challenge for President Thein Sein’s rhetoric of civilian government and the development of rule of law. How the situation is eventually resolved will be a serious barometer for democratic transition in Myanmar. But already its unraveling has revealed the potential for several innovations in rights defense in Myanmar. These innovations include increasing regional networking to facilitate deeper exchange between human rights defenders in neighbouring countries engaged in similar struggles, and developing more sophisticated advocacy and lobbying skills for drawing on the support of the international community. Domestic civil resistance can benefit both from the development of a culture of litigation and from a stronger network of professional human rights lawyers. Following a police crackdown on several hundred monks, students and farmers nonviolently protesting the Letpadaung mine in November 2012, an independent investigation by a group of Burmese lawyers and the US-based human rights organization Justice Trust revealed that the police had used white phosphorous grenades against the nonviolent resisters — a chemical weapon of complicated legality under international law. The monks, many shielding the other protesters, suffered the worst injuries: deep burns and lasting pain. “There was something specific about the particular fire,” one of the monk organizers, U Teikkha Nyana, told a group organized by several human rights organizations at Harvard Law School this past April. This assault strengthened the ties between two groups — civil resisters and human rights lawyers — that have become increasingly inseparable fronts in the struggle for democratic transition in Myanmar. With modest political liberalization, and a generally decreased risk of lengthy prison terms, more Burmese lawyers are willing to take on potentially sensitive rights cases. Following long periods of hospitalization, victims of the violent repression were finally in a place to embark upon the challenge of holding perpetrators accountable. On 11 March 2015, a group of monks led by U Teikkha Nyana filed criminal and civil suits against Home Minister Lieutenant General Ko Ko, who ordered the crackdown, and others. The case is a “fight for justice and to highlight human rights violations and the lack of rule of law in Myanmar,” Aung Thein, a lawyer involved with the case, explained to me at the same meeting in April. Monks have become increasingly common litigants in Myanmar, although sometimes causing major polemics such as the ultra-nationalist monk U Wirathu. Civil resistance can help weaker groups increase their leverage over oppressors, while rights lawyers can serve to both maintain activists’ legitimacy and offer some protection against arbitrary abuse. Legal procedures force the state to articulate its persecution in legal terms. When the state clumsily insists on the legality of arbitrary persecution of civil resisters, for example, it often produces a backfire effect and further delegitimizes the state’s position. On 24 March, the monks’ charges against the Home Minister and police were rejected on the grounds that no lawsuit can be filed against officials who are operating in good faith — a blow to hopes of institutionalizing accountability. Nevertheless, I have been told further legal challenges are likely to follow. Despite the police crackdown, demonstrations continued at Letpadaung and began to swell around the country as others joined in solidarity, directing their resistance toward the Chinese companies involved in exploitative environmental projects in Myanmar. Small outbursts at the Chinese embassy in Yangon have continued since November 2013, the one-year anniversary of the violent crackdown on monks. At that time, Tin Htut Paing, a leader of the youth movement Generation Wave, burned a Chinese flag in front of the embassy. He was charged with violating Myanmar’s Penal Code and the Law on Peaceful Assembly and detained. The next year, demonstrating with the “Black Campaign” students, Tin Htut Paing was arrested again for protesting outside of the embassy along with five others. His lawyer Robert San Aung explained that the six protesters were being charged disproportionately for exercising their freedom of expression. The group of activists was convicted and sentenced to four years and four months in a May 2015 trial condemned by the International Commission of Jurists (ICJ), a Geneva based organization that promotes human rights through the rule of law, and others. Amnesty International called for their immediate and unconditional release while others asserted that the convictions seriously tainted the legal system in Myanmar. Naw Ohn Hla, one of the women convicted, said she would continue to fight for others’ rights as soon as she is freed but assumed that the government deliberately gave them lengthy sentences to keep them imprisoned during the countrywide general elections in November 2015. The next day, the court added hard labour to the sentence. The mine at Letpadaung is a joint venture between Wanbao, a subsidiary of Norinco, a Chinese industrial manufacturing company that also specializes in high-tech weapons, and the military-owned Union of Myanmar Economic Holdings Company. This is a reminder of the important role foreign firms and governments play in developing or hindering the rule of law in Myanmar. This is not just about China. A 2015 Amnesty International report criticized the Canadian firm Ivanhoe Mines, now Turquoise Hill Resources, and others for profiting from a corrupt or unregulated legal climate for resource extraction in Myanmar. Ivanhoe Mines was involved in the Monywa Complex since the joint venture began in 1996. Between April 2003 and January 2005, it may have violated Canadian, US, and European sanctions for large amounts of copper sales to blacklisted military firms. Amnesty has called for Canadian authorities and the securities commission to investigate. In 2007, Ivanhoe Mines claimed that it was divesting from the Burmese mine and transferred its shares to an “independent third party,” the independence of which has been contested by Amnesty. A 2009 cable published by WikiLeaks shows Ivanhoe was simultaneously negotiating with Burmese and Chinese buyers but was eventually forced to sell to the Burmese state-owned ME-1 for $100 million, on the grounds that ME-1 had already agreed to sell the mine to the Chinese interest for $250 million plus $50 million in consulting fees and $100 million in upgrades. The sale was finalized in 2011. Turquoise Hill is currently invested in two mining projects in Mongolia. In May 2015, a deal to sell its shares in the underperforming SouthGobi Mine to a Chinese firm fell through. Meanwhile the company has faced domestic opposition at another of its mine sites. Noted in a recent report by the Minority Rights Group, the Oyu Tolgoi Mine has sparked resistance by local herders, environmental and minority rights groups over the destructive impact of the mine on the surrounding landscape. The parallels to Letpadaung don’t need elaboration. In their 2015 World Report, Human Rights Watch commented on the “enormous collective impact on the human rights of vulnerable communities worldwide” of Canada’s mining industry. HRW expressed concern that the Canadian government neither regulates nor monitors the respect for human rights of Canadian firms overseas. In 2009, Canada did establish a corporate social responsibility advisory, but has yet to empower it with oversight or investigatory powers over Canadian firms operating domestically or in foreign countries, such as Myanmar. At the same time, civil society and human rights defenders may consider updating their strategies of resistance and rights defense. A targeted boycott of foreign-made products from host countries responsible for exploitive industries is one possible next step for national coordination of resistance. Increasing civil society pressure on the political and financial elite of select countries has its limits, as long as Myanmar protects elite interests over those of Myanmar citizens. Resistance to exploitative foreign involvement will require improving transnational activism and communication with activists engaged in similar struggles abroad. Ideally, it would also entail coordinating with networks of human rights defenders in countries whose foreign presence is targeted by civil resisters in Myanmar. This requires financial and logistical support. International funders interested in supporting rule of law development in Myanmar will play an important role in regional exchange. Organizations like Amnesty and Frontline Defenders have long provided platforms for this type of exchange, but the demand is growing. Imagine the learning potential of combining activists and lawyers who have struggled against Letpadaung with their Mongolian counterparts who have resisted Oyu Tolgoi, or with the organizers of the thousands of Tibetans who have resisted the destruction of sacred or farming land by mining operations across western China. There are other transferable case studies for Myanmar from rights defenders around the world, such as Oscar Olivera who organized the successful resistance campaign against exploitive privatization in Cochabamba, Bolivia by the US construction firm Bechtel. The upcoming Universal Periodic Review of Myanmar in November, wherein the Human Rights Council will review Myanmar on the totality of its human rights record, presents an opportunity for rights defenders from Myanmar and around the world. It might also provide a platform for putting pressure on other governments to examine their human rights records in Myanmar. The UPR is a truly unique opportunity for universalizing domestic rights campaigns and forging links with supportive foreign governments. Unfortunately, reports indicate Home Minister Ko Ko will lead Myanmar’s delegation, seriously calling into question the country’s commitment to the process. Protesting outside of embassies or burning country flags draws attention but is insufficient for sustainable coalition formation. To guarantee greater accountability for foreign companies operating in Myanmar, and the state officials tasked with protecting the interests of the local and international elite, domestic human rights defenders can target their activism at those firms’ countries of origin and strengthen their networks among human rights defenders in those countries. To complement these efforts, foreign governments with embassies in Myanmar can ensure they are accessible for civil society and guarantee they will not prioritize economic or political alignment with the elite at the expense of substantive commitments to human rights and the rule of law. But international action can only augment domestic mobilization; it cannot replace it. Myanmar has a long way to go but, as Aung Thein noted at our meeting in April, it is time to nurture a domestic culture of litigation. Belief in the rule of law must come from below and strategic litigation should be calculated alongside other tactics of resistance. Through greater training, made increasingly possible by support from international organizations, Myanmar civil society will gain more rights awareness, allowing for more informed rights demands. At the same time, just as the international community must perform due diligence when supporting top-down initiatives or large-scale investment, it must be cautious in supporting bottom-up programming. Sitting in his apartment in Yangon, Robert San Aung, the idiosyncratic human rights lawyer and six-time political prisoner under the ancien régime, shared his concern with me. Entrepreneurs have emerged to take advantage of legal aid and development funds, just as in other contexts of post-conflict or development, which is upsetting the network of nascent domestic lawyers. For San Aung, funders truly interested in supporting human rights in Myanmar must ensure checks and balances, which can be achieved through deeper engagement on the ground, meaning more language officers and interactions with civil society. Arguably the way forward for rights defenders in Myanmar is to continue augmenting domestic rights defense with transnational activism and international law, and to continue finding ways to take advantage of the same international opening that has benefited the government. Originally published at openDemocracy on 10 June 2015. Also available here. Students demand change in Myanmar. Creative Commons. Some rights reserved. In Myanmar, as university students around the world begin to exalt their summer freedom, a national student movement continues to demand greater political freedom. At the end of May 2015 Myanmar’s parliament was still discussing proposed amendments to a National Education Law put forth by a coalition of student groups. The students have expressed their concern over the lack of academic freedom and the centralized control inherent in the law, which was passed in September 2014. Since its adoption, students and other activists have been campaigning around the country. In many ways, the struggle around education reform can be seen as a prism through which to assess the sincerity of democratic transition in Myanmar today. It began in March 2014 with the release of the draft law. Later, a national coalition of student groups issued an 11 point manifesto. They demanded, among other things, student representation in enacting education legislation, teaching that ensures the freedom of thought, multilingual education for ethnic minorities, inclusion of children with disabilities, and the expansion of compulsory education from primary school to middle school. In November 2014, students in Yangon, the capital, issued a statement explaining that if the government failed to negotiate within 60 days there would be nationwide mobilization. With little progress toward their demands, on January 20, 2015, they held true to their word. Several hundred students from Mandalay and elsewhere began marching the some 400 miles to the capital to demand negotiation. Less than a week later the government agreed to hold four-party talks. As a show of faith several of the groups marching on Yangon agreed to halt their processions. However, after only a few days the talks stalled. More than 250 civil society organizations pressed for their resumption and several protests were staged around the capital in solidarity with the marching students. Sustained pressure appeared successful in mid-February when government negotiators surprisingly agreed to the students’ demands. A few days later a new version of the law was sent to parliament for discussion. Myanmar students protest. Thet Htoo/Demotix. All rights reserved. These students are following a long tradition of student-led nonviolent civil resistance dating back to pre-independence Myanmar. Not long after General Ne Win’s March 1962 coup, students at Yangon University began demonstrating against the military dictatorship and the sudden loss of academic freedom. In early July that year, the military cracked down savagely, massacring between 100 and 1000 students and dynamiting the student union building, the epicentre of student activism since the colonial period. There would be no student unions again until 2010. In 1974, following the death of U Thant, the United Nations Secretary General from 1961 to 1971, the regime denied him a burial with honours. Thousands of students and monks seized his body and marched to Yangon University, where they buried him close to where the student union stood. The armed forces soon drove tanks onto the university campus and exhumed his body. Upwards of 4,500 students were arrested in the ensuing melee, and some 100 were killed. Student mobilization was salient in the better-known 1988 pro-democracy movement from March to August. In Unarmed Insurrections, Kurt Schock calls this period the “Rangoon Spring” — Rangoon is the former name for Yangon — in reference to the 1968 Prague Spring, a brief period of political liberalization in Czechoslovakia that ended with military intervention. Amnesty International even established a short-lived office in Yangon at this time. But by September the state responded with pure brutality. The military assumed control under General Saw Maung and the State Law and Order Restoration Council (SLORC). More than 3,000 were killed by the end of the month. Human Rights Watch’s Asia Director, Brad Adams, has called the ongoing impunity for these mass killings an unaddressed wound challenging the rhetoric of reform. The inspiration and guidance of what became known as the 88 Generation would inspire incremental episodes of resistance and repression that followed. And in 2007, scattered demonstrations that began in April spread around the country reaching around 100,000 demonstrators in Yangon on September 24. This episode is known as the Saffron Revolution, in reference to the overwhelming presence of bright orange and red-clad Buddhist monks among the demonstrators. The spread of images, made possible by social media, of police and military savagely beating monks contributed to the international outcry and condemnation of the regime. In addition to monks, students made up sizeable numbers, as new student organizations such as Generation Wave, inspired by the 88 generation, began to organize and innovate strategies of resistance. Myanmar police stage crackdown. Thet Htoo/Demotix. All rights reserved. Despite a long tradition of student-organized civil resistance, those who began in November 2014 exhibited a stark difference with their predecessors. They were engaging in collective action in an ostensibly democratizing Myanmar. In November 2010 Myanmar held its first general election since 1990, although they took place amid concerns of intimidation and corruption, as well as laws that strongly favored the military. International election monitors and foreign journalists were banned. Anyone serving a prison sentence was barred from party membership, a questionable regulation in light of the more than 2,000 political prisoners. In April, Lieutenant General Thein Sein resigned from the military and formed the ‘civilian’ Union Solidarity and Development Party (USDP), absorbing several military organizations. USDP won vast Parliamentary representation. A week later Aung San Suu Kyi was released from house arrest, although she is still banned from running in the 2015 election. In the years following, Thein Sein released hundreds of political prisoners and has presided over certain welcome legislative reforms. In response, the United States and European Union have restored diplomatic relations and lifted decades of economic sanctions. In light of this narrative of political liberalization, one would have hoped that the negotiation of a National Education Law would comport with Thein Sein’s attempts to maintain legitimacy by appearing more sympathetic to political reform. Unfortunately, after the student’s preliminary successes at convincing the Parliament to review their demands, the trajectory began to take a familiar arc. Despite the agreement at the four-party talk, it soon became clear that the Parliament would not welcome student representatives. A few days later the government warned that action would be taken and Minister of Home Affairs Lieutenant General Ko Ko cautioned the organizers that demonstrators would be considered a threat to national stability. On February 16 two foreign freelance journalists were expelled from the country for documenting protests. In early March, police in Letpadan, about 85 miles from Yangon, surrounded the students marching from Mandalay. A tense standoff ensued with students demanding to continue, and the police, who outnumbered them 5 to 1, refusing to abandon their blockade. In Yangon, police assaulted a small group of activists on March 5 who had gathered in solidarity with those at Letpadan. Then, despite the authorities and students appearing to have reached a consensus in Letpadan, violence erupted on March 10. In a move that was widely condemned by human rights organizations and governments, police and hired thugs, armed with truncheons and riot gear, mercilessly beat back the some 200 assembled students. Some passed out and others were badly cut from barbed wire or suffered broken bones, some were dragged into trucks, chased into the fields, or later snatched from their homes at night. The police also chased away journalists from documenting the abuse but evidence quickly spread through traditional and social media, such as the “We Support Myanmar Students” Facebook page, which, at the time of writing, has generated more than 25,000 likes. Soon afterwards, the Ministry of Information claimed to have arrested 127 people. The police violence at Letpadan, although thankfully low in casualties, bears a striking similarity to the state-sponsored violence of previous military governments. It is a disturbing return to past tactics of repression, says Human Rights Watch. But what seems equally, if not more troubling, is the instrumentalization of domestic law as a repressive tactic. This is part of what Thomas Risse and Kathryn Sikkink call a tactical concession. Repressive regimes will make certain concessions such as signing international treaties, passing new legislation, or releasing a few political prisoners. They do so to attempt to gain a little standing in the international community, to get human rights organizations off their backs, while not necessarily fully implementing such reforms. What this often means is that repressive regimes favour political crimes and show trials over mass killings or disappearances. It is a midpoint between traditional state repression and rule-consistent behaviour. Of the 127 people arrested over Letpadan some 70 were later charged, such as Po Po, who had evaded initial detention but was rounded up in the weeks following. After the crackdown, the 20-year-old history student Po Po had gone home, where she was arrested on April 8 and brought to the infamous Insein Prison, while many others were held at Tharrawaddy Prison. Most of them have been charged with violations of the Penal Code and Peaceful Assembly Law, some facing the possibility of 10 years in prison. Enraged by the audacity of the state, activists and students in 11 cities around the country carried out protests in solidarity with the detained, prompting further arrests and charges of violating the outdated Penal Code. The previous UN Special Rapporteur on the Situation of Human Rights in Myanmar, Tomás Ojea Quintana, has called for the abolition or amendment of the antiquated Penal Code, in many ways identical to when it was first enacted in 1860, to ensure that it complies with international human rights standards if there is to be a transition to democracy. Assessing Myanmar’s transition should be based on far more than the upcoming election. As we move closer to the November election we should remain cognizant of the growing numbers of activists behind bars who have done nothing more than engage in nonviolent civil resistance. In testimony to premature talk of transition, the number of political prisoners since Thein Sein’s much touted amnesty at the end of 2013 has actually increased by nearly 600 percent, according to some figures – the vast majority of whom have been placed behind bars for their parts in various nonviolent campaigns, for violations of the Penal Code and the 2011 Peaceful Assembly Law. This law requires, in Article 18, that organizers obtain permission from township police chiefs five days prior to any demonstration and for any slogans or signs they intend to display. Each violation is prosecutable based on township, which means the students marching from Mandalay could theoretically be charged with a violation for each township they passed through without prior permission. As an indicator of scale, there are 33 townships in Yangon alone. A coalition of more than 50 activists and civil society organizations have been campaigning for years to amend Article 18. The group includes the 88 Generation Peace and Open Society and Generation Wave. The freedom of expression is a fundamental right enshrined in Article 19 of the Universal Declaration of Human Rights, which in Article 20 also recognizes the freedom of peaceful assembly and association. Students have been mobilizing around the country, seizing the right of free, peaceful expression and assembly by protesting, marching, sending open letters, engaging through social media, and negotiating with the state. Those who have been beaten and detained are engaged in active civil resistance to renegotiate the meaning of political participation in a changing Myanmar. In many ways, it is about more than just the National Education Law. In their expression of resentment toward the state, and in the level of national coordination unachieved in decades, the opportunity for civil society to influence social or political policy in Myanmar is great, even in the face of Thein Sein’s demonstrably thin commitment to democratization. While much of the international attention regarding democracy in Myanmar remains focused on whether Aung San Suu Kyi will be allowed to participate in the elections in 2015 or who will be the next president, the real hope for transition in Myanmar arguably rests with the burgeoning civil society seizing every political opening to demand accountability. The movement around the National Education Law has managed to do what few in Myanmar have achieved since independence: to create a lasting national, cohesive social movement united around a core set of grievances and demands. Students, monks, and other civil resisters will continue to face repression from the state. But Myanmar’s desire to reconnect to the world after more than two decades of isolation also guarantees that the state will be forced to make increasing tactical concessions, leaving further openings for civil resistance.